Home/101 Knowledge/What are Pneumatic components? Pneumatic components are components of pneumatic systems. Pneumatic system is a branch of engineering that makes use of gas or compressed air. The principles of pneumatic are the same as those for hydraulic, but pneumatic transmits power using a gas instead of a liquid. With pneumatic, air is usually pumped into a receiver using a compressor. The receiver holds a large volume of compressed air to be used by the pneumatic system as needed. Atmospheric air contains airborne dirt, water vapor, and other contaminants, so filters and air dryers are often used in pneumatic systems to keep compressed air clean and dry, which improve reliability and service life of the components and system. Pneumatic systems also use a variety of valves for controlling direction, pressure, and speed of actuators. Though most of us do not realize it, we are surrounded by systems based on pneumatics. Below are some examples. Air brakes on buses and trucks are formally known as compressed air brake systems. These systems use a type of friction brake in which compressed air presses on a piston, and then applies the pressure to the brake pad that stops the vehicle. Exercise machines can be built on pneumatic systems. A pneumatic cylinder creates resistance that can be adjusted with air pressure. Compressed-air engines, also called pneumatic motors, do mechanical work by expanding compressed air. Usually the compressed air is converted to mechanical action by rotary or linear motion. Pressure regulators are valves designed to automatically stop the flow of a liquid or gas when it reaches a certain pressure. Pressure sensors are used to measure the pressure of gases or liquids. Pipe organs produce sound by pushing pressurized air through pipes that are chosen by pressing keys on a keyboard. Inflatable structures, such as balloons, bouncy castles, or blow up figures are inflated with a gas – air, helium, nitrogen, or hydrogen. The pressure of the gas keeps the structure inflated. Cable-jetting is a technique used to put cables into ducts. Compressed air is inserted and flows through the duct and along the cable. Pneumatic mail systems deliver letters through pressurized air tubes. This was invented by a Scottish engineer in the 1800s. Gas compressors are devices that increase the pressure of a gas by reducing its volume. A pneumatic bladder is an inflatable bag technology that can be used to seal drains and ducts to contain chemical gases or spills, to stabilize cargo within a container, or to float an artificial coral reef. They can be used in medical research, and have other applications as well. Pneumatic cylinders use the power of compressed gas to produce a force. A vacuum pump removes gas molecules from a sealed container, leaving behind a partial vacuum. This concept was invented in 1650. Pressure switches close an electrical contact when a certain amount of pressure has been reached. The switch can be set up to make contact either when the pressure rises or when the pressure falls. Pneumatic air guns use pre-compressed air as an energy source to put a projectile in motion. Barostat systems maintain constant pressure in a closed chamber. They can be used for medical purposes. Gas-operated reloading provides energy to run firearms. Pneumatic tires are created with compressed air to inflate and form the body of a tire on a bike, car, or other vehicle. A handheld jackhammer is a tool that combines a hammer and a chisel, and is usually powered by compressed air. Even Legos can use pneumatics! There is a kind of Lego brick that uses air pressure to perform various actions using pneumatics concepts. Air is the most important thing in the pneumatic system, and as we all know, air is available in the world around us in unlimited quantities at all times and places. Air is a substance that is easily passed or move from one place to another through a small pipe, the long and winding. Air can be used flexibly at various temperatures are required, through equipment designed for specific circumstances, even in quite extreme conditions, the air was still able to work. The air can be loaded more safely than it is not flammable and does not short circuit occurs (konsleting) or explode, so protection against both of these things pretty easily, unlike the electrical system that could lead to fires konsleting. The air around us are tend to clean without chemicals that are harmful, and also, it can be minimized or cleaned with some processes, so it is safe to use pneumatic systems to the pharmaceutical industry, food and beverages and textiles. Air could move at speeds that can be adjusted from low to high or vice versa. When using a pneumatic cylinder actuator, the piston speed can reach 3 m / s. For pneumatic motors can spins at 30,000 rpm, while the turbine engine systems can reach 450,000 rpm. The air can be stored through the seat tube fed excess air pressure. Moreover, it can be installed so that the pressure boundary or the safety of the system to be safe. Easy air either directly utilized to clean surfaces such as metal and machinery, or indirectly, ie through pneumatic equipment to produce certain movements. • Requires installation of air-producing equipment. Compressed air should be well prepared to meet the requirements. Meet certain criteria, such as dry, clean, and contain the necessary lubricant for pneumatic equipment. Therefore require installation of pneumatic systems are relatively expensive equipment, such as compressors, air filter, lube tube, dryer, regulators, etc. One of the properties of pressurized air is like to always occupy the empty space and the air pressure is maintained in hard work. Therefore we need a seal so that air does not leak. Seal leakage can cause energy loss. Pneumatic equipment should be equipped with airtight equipment that compressed air leaks in the system can be minimized. Pneumatic using open system, meaning that the air that has been used will be thrown out of the system, the air comes out pretty loud and noisy so will cause noise, especially on the exhaust tract. The fix is ​​to put a silencer on each dump line. Pressurized air is easily condensed, so before entering the system must be processed first in order to meet certain requirements, such as dry, have enough pressure, and contains a small amount of lubricant to reduce friction in the valves and actuators. A pneumatic system include air compressor, air dry, air source treatment(air filter+air regulator+air lubricator), air valve, air cylinder, air actuator. Meanwhile they need air fittings and air hose to connect the components. 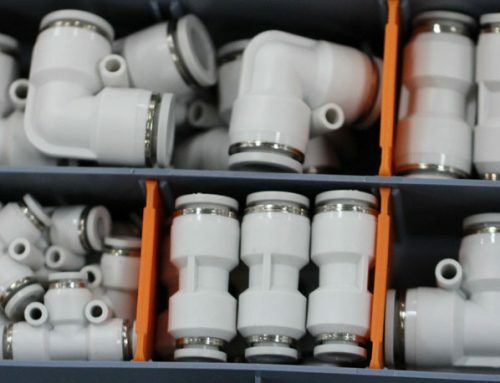 To reach some function, the system need more components, such as quick exhaust valve, throttle valve, slide valve, silencer, and check valve, etc. 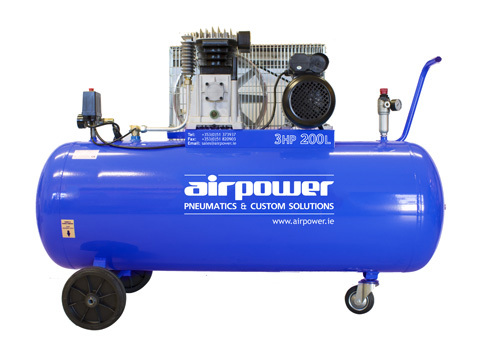 Air compressor can transfer electric power to air power. Air tank stores enough air power to drive air actuator. Timer drain valve will drain the condensate water from the air tank timely. But air power source cells can not remove water and dust from compressed air. To make pneumatic components’ life longer, we need next cells. • air source pre-treatment cells – pre-filter. air dryer. oil/water separator.final filter.drip leg drain. Filter/Regulator/Lubricator. Pre-filter is to remove most of water molecule and greater Impurity, usually installed in main line. There are a few ways to dry compressed air. You can lower the temperature and then re-heat it. Condensate will form at the low temperature, where the water can be discharged. After re-hearting, the air is dry. This process is used in refrigerated compressed air dryers. Over compression. The over compressed air is cooled. Any condensate formed is removed and then the air is expanded to normal working pressure. Expensive and seldom used. Absorption. Water in the compressed air is chemically bound to an absorption material. The water dissolves in the material. Both the material and water is then discharged. Adsorption. The water ‘sticks’ to the surface of the adsorption material (desiccant). The desiccant is ‘regenerated’ to remove the water again. This process is used in desiccant compressed air dryers. 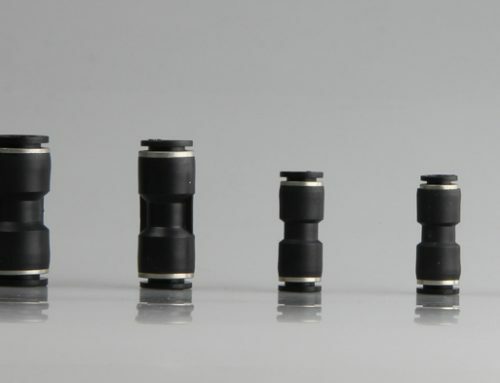 It adopts modular design, can be used separately or togehter. Air Lubricator, add oil into compressor air. Pneumatic directional valve includes air valve, solenoid valve, foot valve, mechanical valve, hand valve. Valves regulate, direct or control fluid flow by opening or closing. They are installed directly onto pipes or hoses and control the pressure, rate and amount of fluid as it moves through a system. Actuator and Pneumatic cylinder are widely acceptance for they are simple, economical, durable, and easy to install. They can produce thousands of pounds of force over a broad range of velocities. Besides, they can cycle at high speeds without overheating and stall without internal damage. What’s more, they readily tolerate tough conditions such as high humidity and dusty environments. multiple mounting configurations and mounting accessories. I would like to order Brass Muffler.How can it be done?